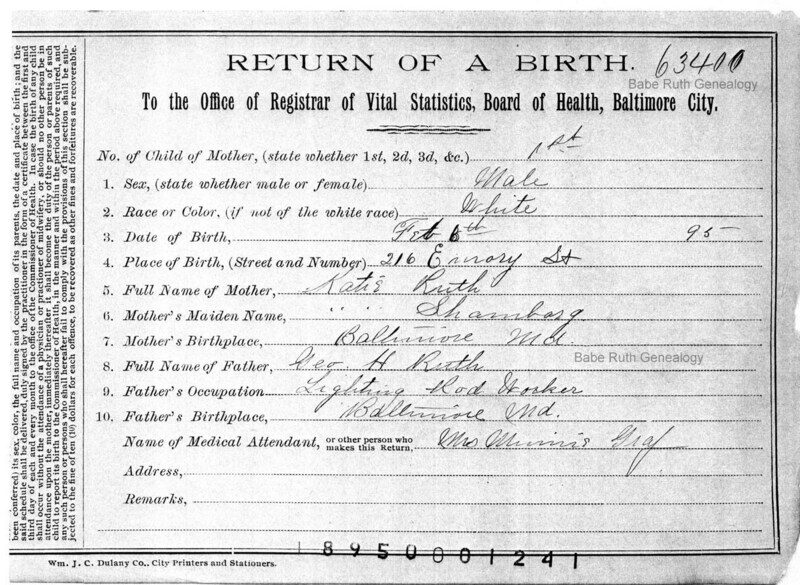 It’s a birth record from more than a century ago. A male child born 6 February 1895 in Baltimore, Maryland. It records a singular moment of American history — sports history, to be exact. And it offers a perfect example of what we might be able to find if we thoroughly examine even these early vital records. So… back to the birth record. Because this woman — undoubtedly a midwife — could be the clue to finding out more about this family, this neighborhood, or both. Typically a midwife served the community where she lived. In a city like Baltimore, that could be either a geographic community — the streets nearby — or a religious or ethnic community (the local German families, or the local Jewish families, or the local African-American families) — or both. All of those facts could be important in putting the Ruth family into the context of its time and place. Just as one example, plotting the locations of the midwife and the Ruth residence may tell you, for example, whether she was from the local community or, perhaps, brought in because of her religion or language or national origin. I’d want to know how many people in the same neighborhood shared the same religion or language or national origin as the midwife. There’s always something more to be learned from every record. Thanks, Babe, for that lesson. Oh, and for everything you did for my team. Cite/link to this post: Judy G. Russell, “Oh, that Babe,” The Legal Genealogist, posted 6 Feb 2019 (https://www.legalgenealogist.com/blog : accessed (date)). 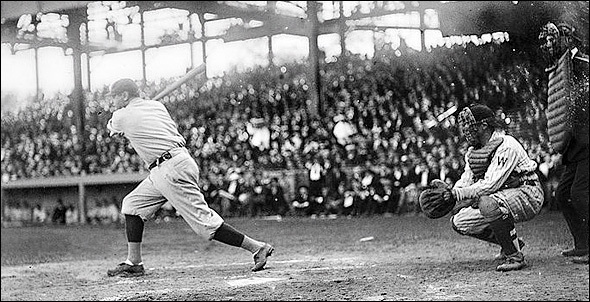 Image: “Babe Ruth,” 1921, National Photo Company collection, Library of Congress Prints & Photographs Division. Good lesson, Judy, as always. I have to chime in with my relevant experience. After DNA took away my grandfather, it gave me a new one who turned out to be a doctor. I wondered if he might have practiced artificial insemination in the early days of experimentation. Then I discovered he had signed my dad’s birth certificate in 1905. Somehow, it seems very unlikely he would have delivered a baby that was the result of an affair between him and the mother.